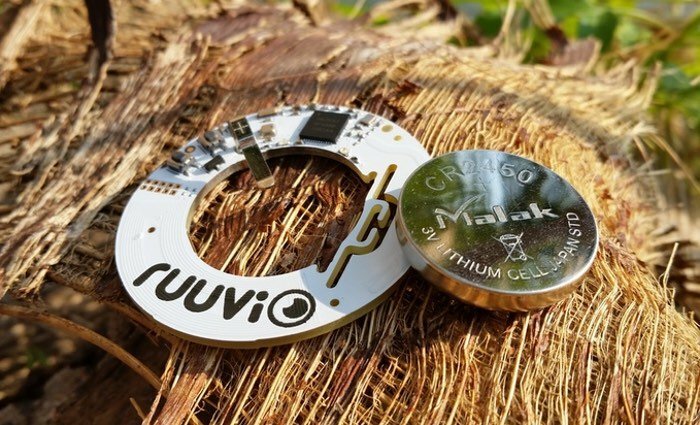 Sharnon Tulabadi based in Finland has launched a new Kickstarter campaign for a new open source Bluetooth Internet Of Things sensor beacon called RuuviTag which has been specifically designed for Internet of Things projects. Check out the video below to learn more about the tiny RuuviTag sensor which provides an open source alternative to the range of already available proximity beacon products. The developer of RuuviTag explains more about its design, inspiration and functionality which includes the ability to measure Ambient temperature, Relative humidity, Barometric pressure, Altitude and Acceleration. The Internet of Things, beacons and The Physical Web are today’s hot topics. Soon we’ll be surrounded by small intelligent sensor nodes that analyze the environment and offer people more content on their smartphones. Many traditional proximity beacon products are already available, but what the market is truly lacking is a capable open-sourced device. We decided to change this. A year ago we started a design process with one goal: to create a superior open-source sensor beacon platform to fulfill the needs of developers, makers, hobbyists, students and even IoT companies and normal people. We managed to create one of the most advanced Bluetooth sensor products in the world. RuuviTag is a stand-alone Bluetooth 5 ready sensor beacon platform. It can be used as a standard Eddystone / iBeacon proximity beacon but it has the potential to be so much more. For more information on the new RuuviTag jump over to the Kickstarter website for details by following the link below.